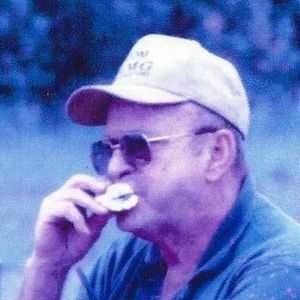 CENTRAL CITY - Bobby Roy Whitehouse, age 76, died Saturday, September 26,2015 at his home in Central City. He was born July 18, 1939 in Muhlenberg County to the late Roy & Bertha Meadows Whitehouse. Bobby was a boilermaker and was preceded in death by his wife Doris Whitehouse; brothers Jackie, Homer, Belvie and James Whitehouse; sisters Louise Willoughby and Betty Wilson. He is survived by his sons Bobby Gene (Denise) Whitehouse and Keith (Sarah) Whitehouse both of Central City; daughters Theresa (the late Ray) Turner of Rochester and Bobbi Jo (Ricky) Higgs of Central City; 13 grandchildren and 27 great-grandchildren; brothers Joe (Patsy) Whitehouse of Alabama and Jerry (Linda) Whitehouse of Central City. Funeral services will be Monday, September 28, 2015 at 2 PM at Tucker Funeral Home in Central City with Linda Whitehouse and Jerry Whitehouse, Jr., and Paul Hileman officiating. Burial will be in Echols Baptist Church cemetery in Echols, KY. Visitation will be Sunday after 5 PM at the funeral home. Online condolences may be made at www.tuckerfuneralhomes.com. Bobby must have been a special person to have two such fine children. I have known Theresa and Bobby Whitehouse since they were little kids. I loved them then, and still love them. My condolences to your entire family. It always hurts to lose a parent, we pray it just hurts a little less each day. If there is anything you need please let me know. If I can help I will. I Love ya Uncle Bobby may u rest in peace.My Love to all the family !!!! Uncle Bobby had many stories, no matter how they ended, everyone of them will always be memories in our minds. Not to many people seen the warm and compassion heart he held underneath his tough looks. No matter how much coffee he drank. No matter how he play a part in our lives, His love he shared will be deeply missed. Our prayers reaches out to each and everyone family member,friends and business partner. Deepest sympathy's, hugs and prayers for you all. SO SORRY ABOUT BOBS PASSING . HE WAS A SPECIAL ONE OF KIND MAN . HIS STERN ATTITUDE MADE YOU SEE HIS WAY . HE WAS A MAN WHO LOVED HIS FAMILY VERY MUCH. HE GOT TO SEE DORIS TODAY WHO HE HAS GRIEVED OVER FOR SO MANY YEARS.WE ARE HERE FOR YOU IF YOU NEED ANYTHING . Keith & Bobbie Jo........You All know I Love You Guys So Much !!!!! Cherish those Memories !!!! No One can take those Memories away from You !!!! ***huggs*** and Many Prayers !!! !